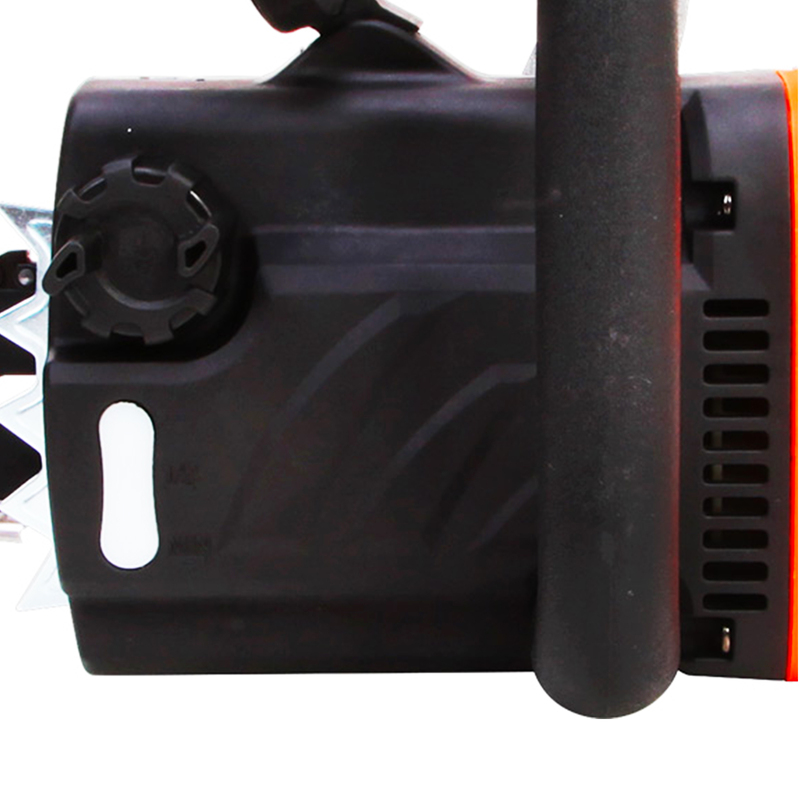 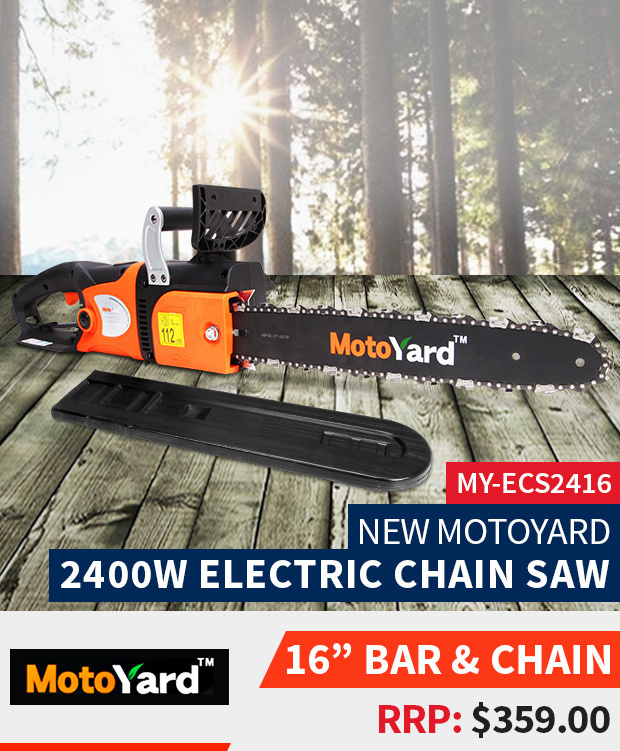 Here comes the all new Electric Chain Saw MY-ECS2416! 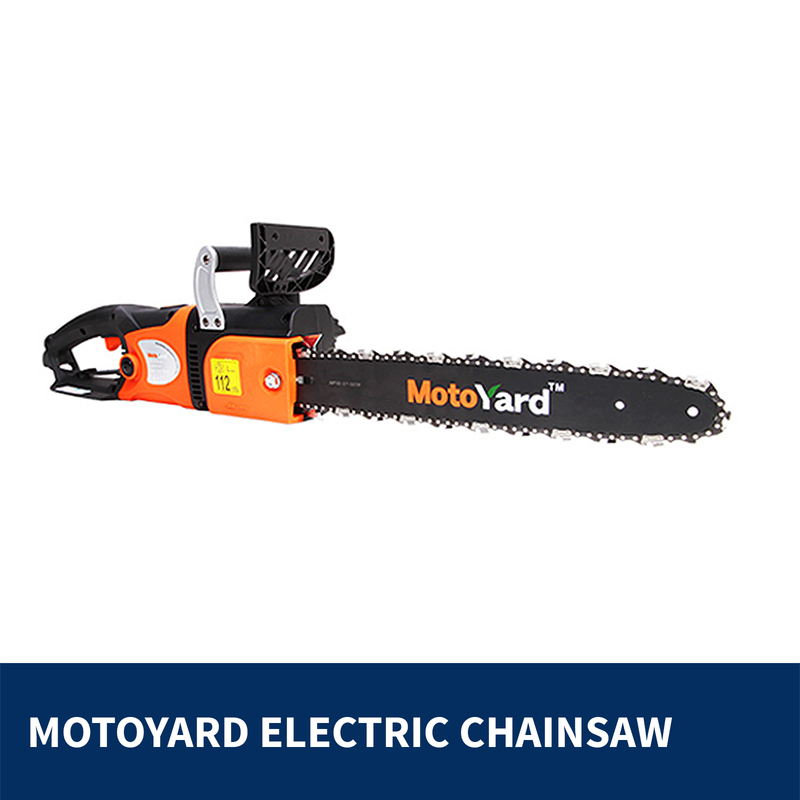 This Electric Chain Saw MY-ECS2416 is specially designed for completing small jobs like low-level trimming of plants or using it for Do It Yourself projects for the homeowner. 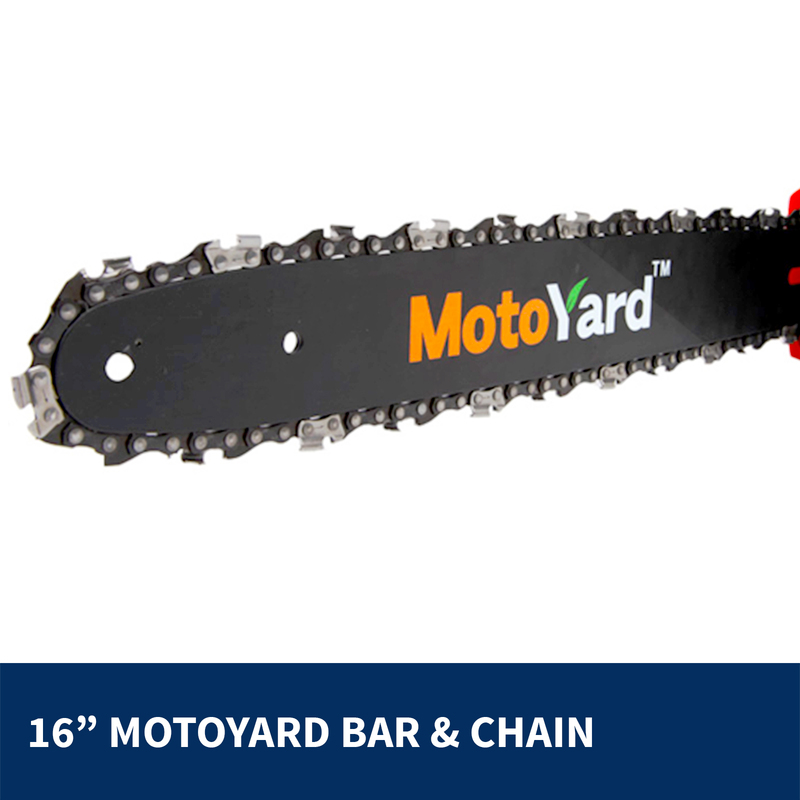 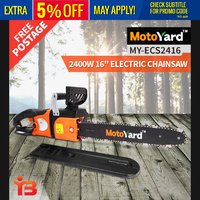 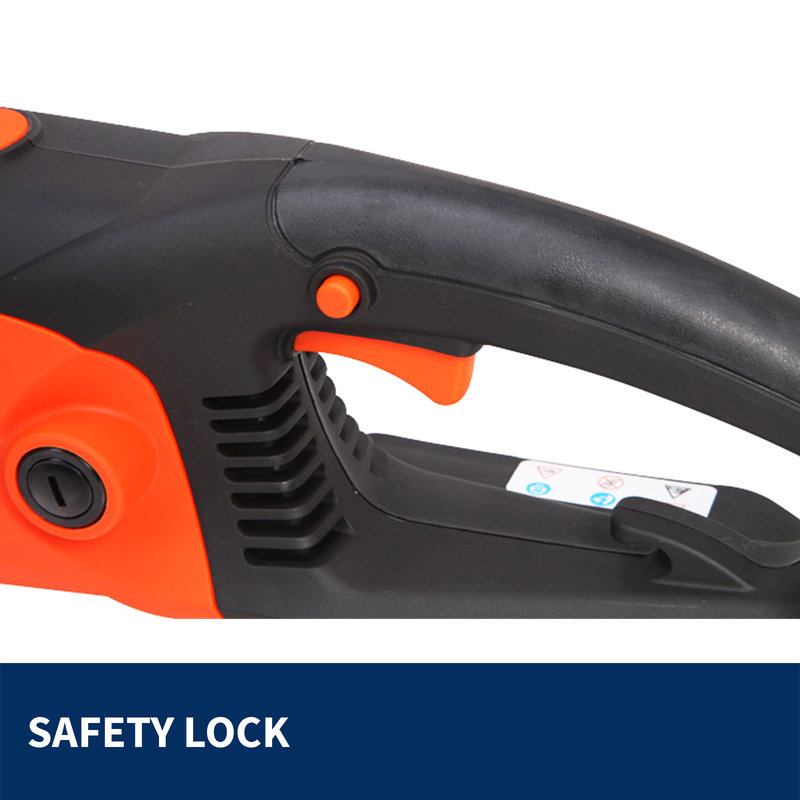 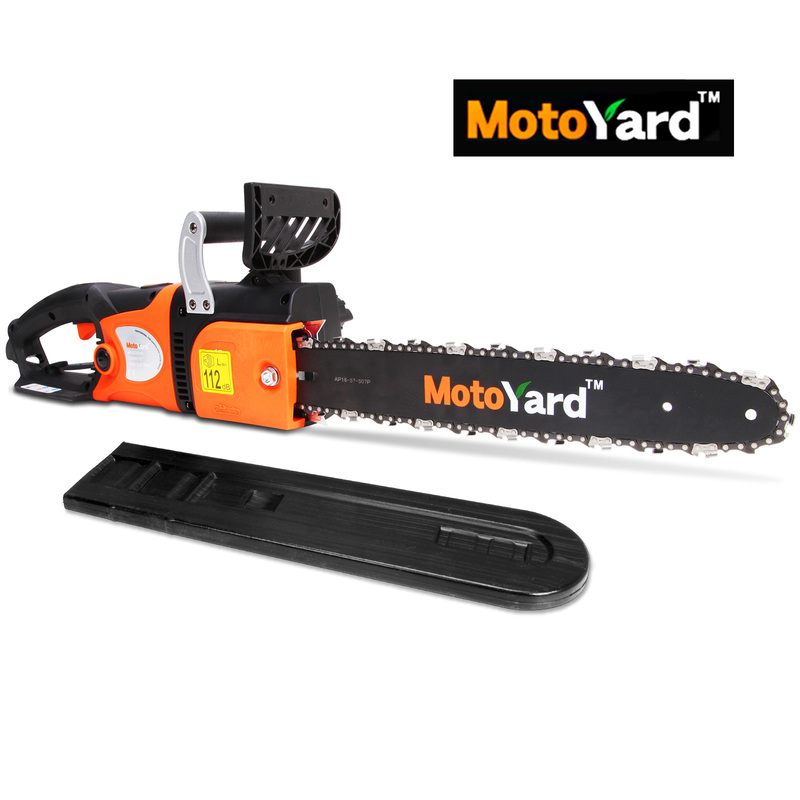 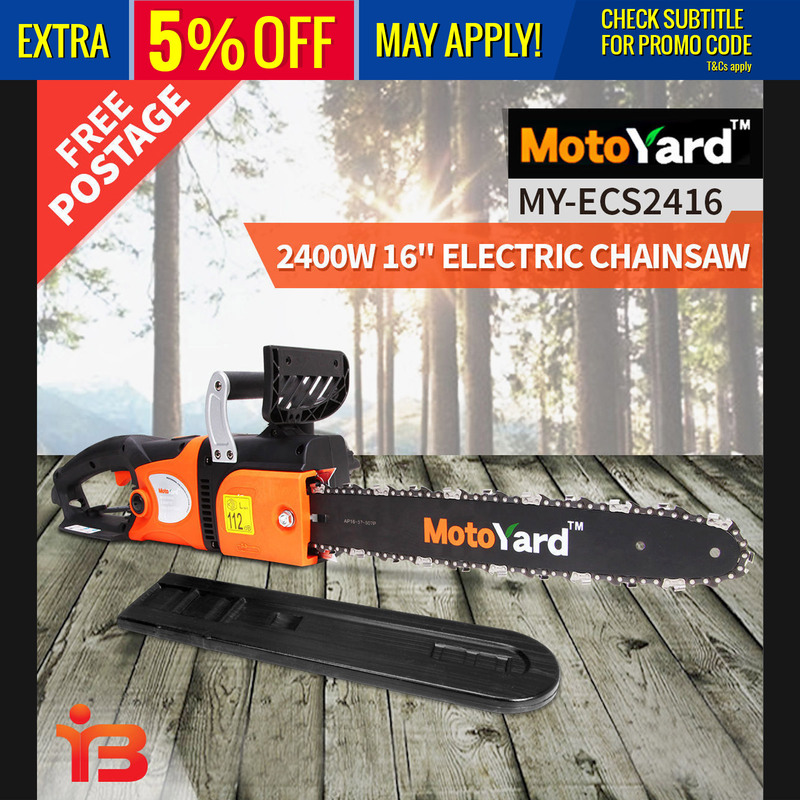 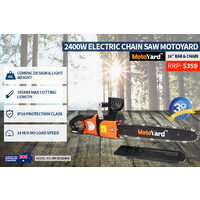 This Electric Chain Saw is easy to use and it gives better performance and asks for minimal maintenance. 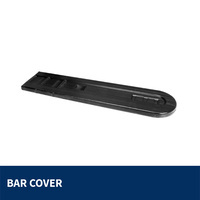 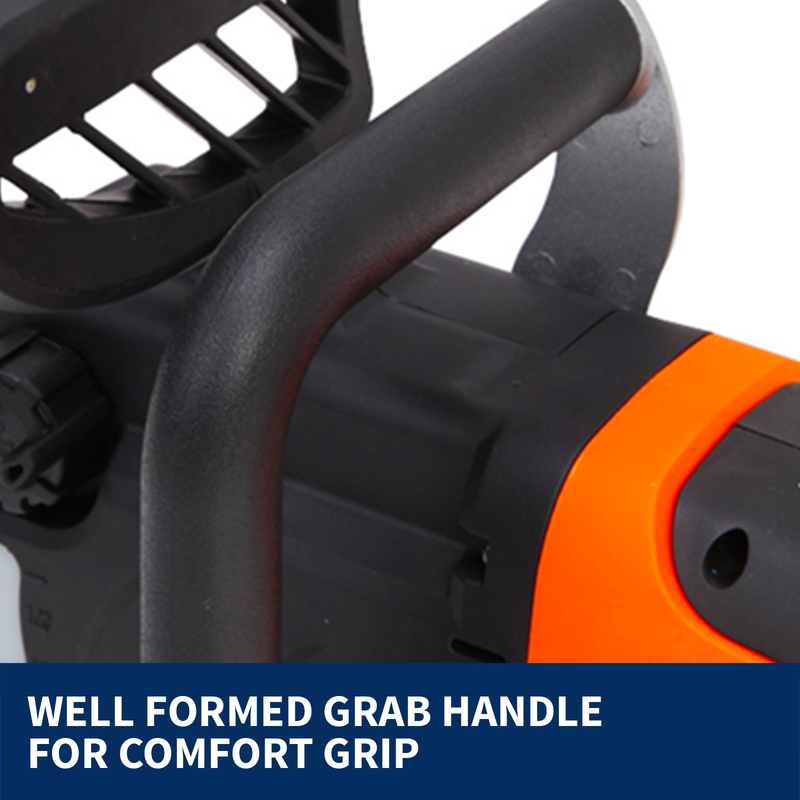 It gives you the highest operational comfort and delivers quick results. 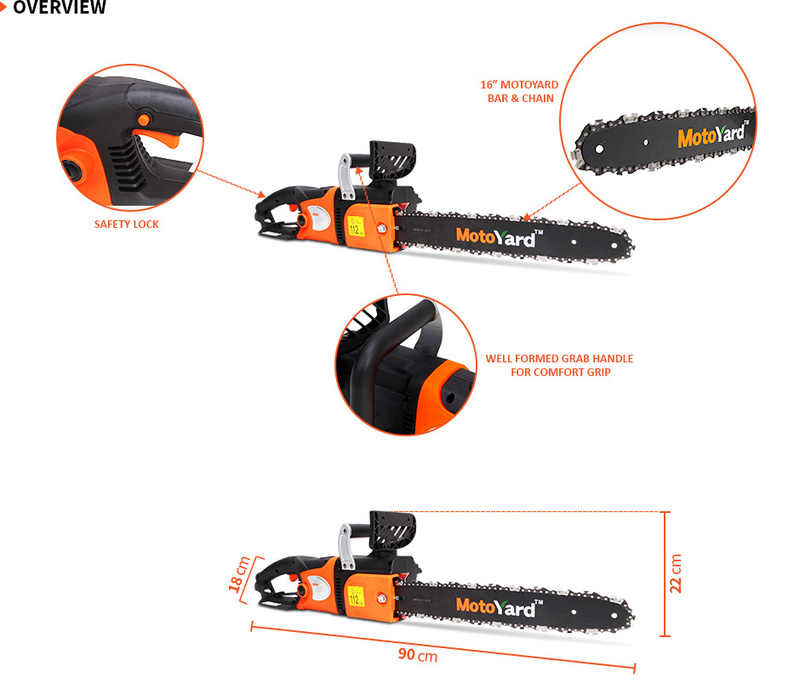 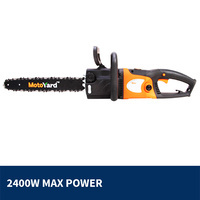 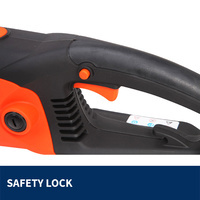 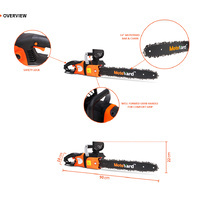 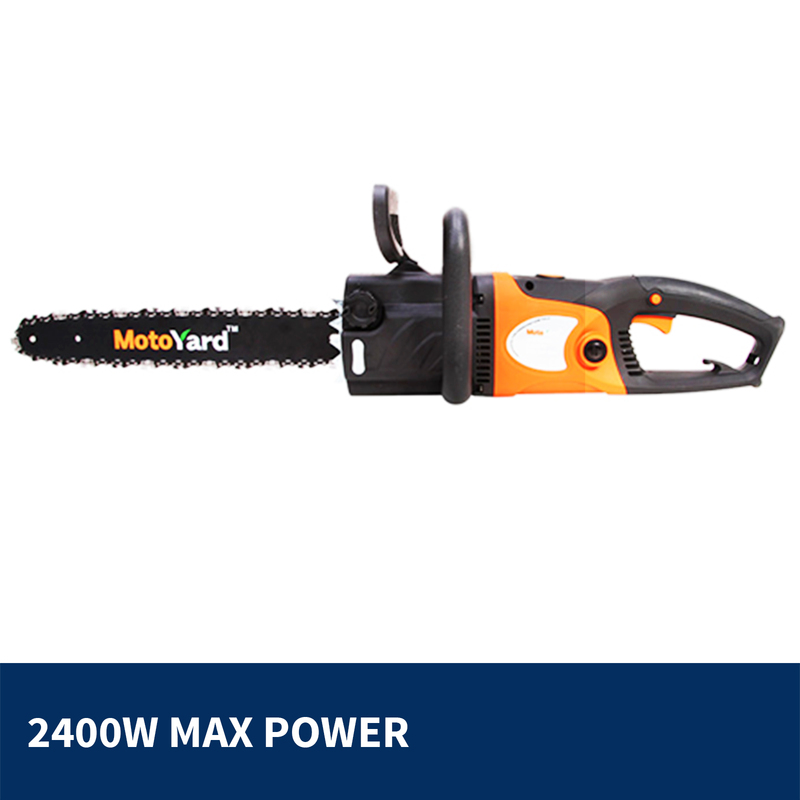 It is loaded with a powerful 2400W motor, which guarantees high cutting speed, so that even the toughest wood or medium thickness branches can be taken on with confidence. 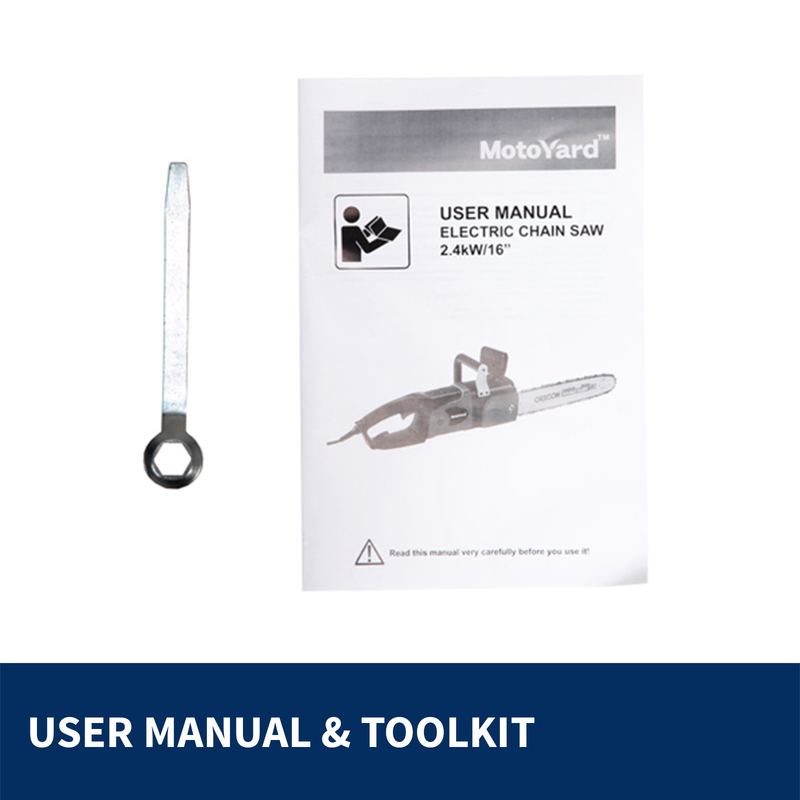 Each time the trigger is released, a limiter system prevents the motor from starting up again until it has completely halted; this reduces the impact on the sprag clutch parts, allowing for silent operation and longer life. 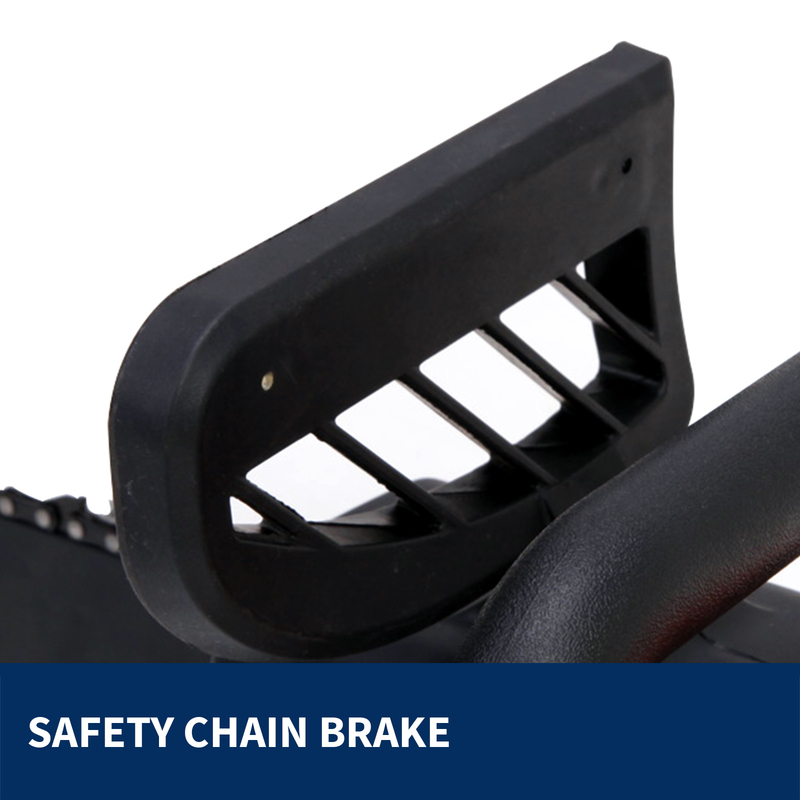 It’s appropriately incorporated with a trigger-release mechanism that is designed to separate the drive instantly, so that the chain stops immediately. 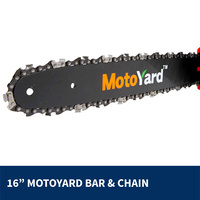 To give enhanced stability and lasting resistance against wear, it comes with all-metal ring gear and sprag clutch. It has a perfectly poised trigger that offers very comfortable grip even when wearing gloves. 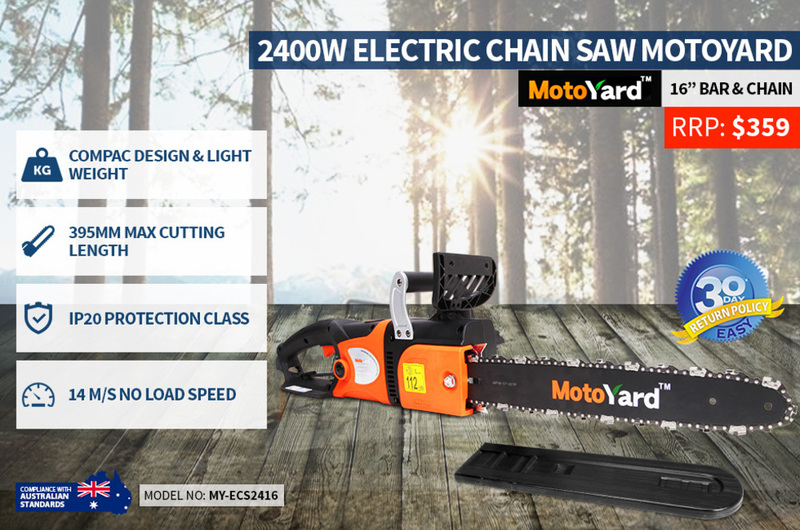 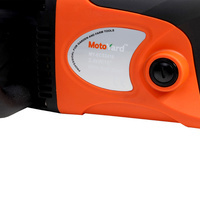 Your small cutting jobs are simplified with new Electric Chain Saw MY-ECS2416. Get this professional garden and farm tool today and work like a pro.